No matter which iPhone you have, it’s important to have a case that can protect it from damage. Choosing the right iPhone case can be difficult because there are so many different options to choose from. In this article, I’ll explain what makes an iPhone case “strong” and tell you about some of the strongest iPhone cases of 2019. Why Should I Get A Strong Case For My iPhone? Simply put, a good phone case is essential to owning an iPhone. While the latest iPhones can cost more than a thousand dollars, a strong case can typically be found for less than $25 on Amazon. A strong iPhone case is a smart investment. 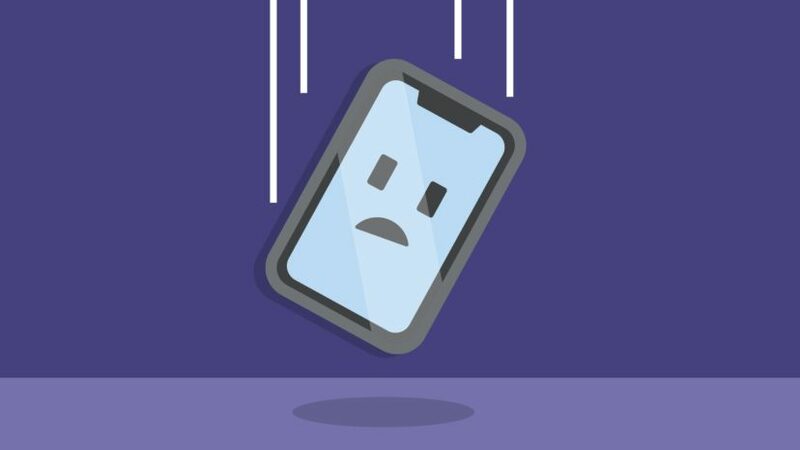 If you drop your iPhone just once (it happens to all of us), it can easily be damaged. Repairing that damage can be very expensive, especially if you don’t have AppleCare+. There’s no replacement for the extra comfort or peace of mind that an iPhone case provides! What Makes An iPhone Case Strong? Some of the strongest iPhone cases in 2019 are what’s known as “military grade.” These cases meet or exceed the U.S. Defense Department’s testing procedures in determining the product’s overall durability against severe conditions like shock, water, vibration, and dust. The most popular materials for iPhone cases are metal, plastic, wood, leather, and carbon fiber. Polycarbonate cases, made out of plastic, are also known for being very durable. They’re lightweight, tough, and can resist high impacts. You know polycarbonate is strong because it’s one of the materials used to make bulletproof glass. Carbon fiber is another solid material found in strong iPhone cases. Though typically more expensive, carbon fiber cases weave together strands of carbon to produce a light material that’s stronger than steel. Carbon fiber cases are ideal for protecting your phone from medium-height drops onto hard surfaces like concrete. However, it’s metal cases that normally offer the best protection. Metal can withstand the biggest impacts and it’s the hardest material commonly used to make iPhone cases. On the other hand, wood and leather cases are relatively weak and flimsy. They might look classier or more artsy, but they’re more known for protecting against minor bumps and scratches rather than actual drops. As you might expect, the quality of a phone case can often be determined by its hardness level, or H. This refers to the Mohs hardness scale, which ranks minerals and other materials on a scale of 1–10, with 10 being the hardest material on Earth — diamonds. For comparison, regular glass is placed at five. Hardness is measured by the ability of a material to scratch another’s surface. Glass can scratch anything below a 5, such as iron, but can be scratched by anything above a 5, such as quartz. Therefore, cases with a hardness of 9H, as several do, will rarely be scratched and are very durable. If all this information is a bit overwhelming, that’s okay. Below, we’ll list our picks for the strongest iPhone cases in 2019. These cases are compatible with the iPhone X, iPhone XS, or iPhone XS Max, but all the manufacturers we’ll recommend design similar cases for the XR and older models of the iPhone! The MKEKE iPhone case has a 4.5 star Amazon rating and is priced at $6.99. It’s made with TPU materials, which is a combination of rubber-like plastic and elastic. The TPU materials make this case very durable. It also has a shockproof air space cushion to protect your iPhone when you drop it. A one-year warranty is included with your purchase! The TORRAS Love Series liquid silicone case is made of a rubber material with raised edges to prevent scratches. Priced at $16.99 and with a four-star Amazon rating, this case comes with a lifetime warranty. OtterBox makes its cases largely with a mixture of polycarbonate that is reinforced with fiber glass. Their Commuter Series Case is priced at $14.75 and rated at 4.5 stars on Amazon. This case is specifically designed to block the entry of dust and debris from getting into the ports and speakers of your iPhone. Your purchase also includes a lifetime warranty! This iPhone case from ANOLE costs only $7.99 and includes a lifetime warranty. It’s made of TPU with a transparent and scratch-resistant back. This case’s frame has two layers of shock bumpers that will protect your iPhone when you drop it! Made of TPU material and lined with a metal luster on the outer edges, the DTTO Lightning Series iPhone case offers a “non-slip grip” for maximum protection. The case costs $12.99, has 4.5 star rating, and comes with a lifetime warranty. Made with the same polycarbonate and fiber glass as other Otterbox cases, their Symmetry Series iPhone case is designed with raised edges to protect the display if you drop your iPhone. This case has a 4.5 star Amazon rating and comes with a lifetime warranty. Made with a glass back and a TPU frame, the ESR Mimic Tempered Glass Case has a hardness of 9H and includes a soft corner material to absorb shock from drops onto hard surfaces. This case mimics the glass of the iPhone itself and is slip- and scratch-resistant. You can get this four-star rated iPhone case for only $19.99 on Amazon. The TORRAS Lock Series Case is made of hard plastic that gives your iPhone full-body protection and effective impact absorption. This case is lightweight, scratch-resistant, and fingerprint-resistant. Priced at only $13.99, this case has a four-star rating. Your purchase includes a lifetime warranty! This Besiva iPhone case boasts a “drop-proof, shockproof, and dust-proof” design. It’s made with TPU material and an extra layer of hard plastic for increased durability. This case has a built-in kickstand and four reinforced corners, all for $7.99. This FOGEEK iPhone case is made with tempered glass and comes with a belt clip that doubles as a kickstand. It’s shockproof, rustproof, and has reinforced corners with a hard back for extra protection! Our pick for the strongest iPhone case in 2019 is the Otterbox Commuter Series Case. Made with Otterbox’s signature fiber glass and polycarbonate plastic, this case combines extreme protection and durability with sleekness and a nice look for your iPhone. We hope this article helped you find the perfect case for your new iPhone. Make sure to share this article on social media to tell your family and friends about the strongest iPhone cases in 2019. We’d love to hear what you think of your iPhone case and we welcome any recommendations you may have! Previous Article“Your Apple ID Has Been Locked” On iPhone? Is It Legit? Next Article My iPad Is Disabled & Says “Connect To iTunes”! Here’s Why & The Fix.